Capturing India — YWAM AUSTRALIA - DO A DTS IN BRISBANE! Hello everyone! 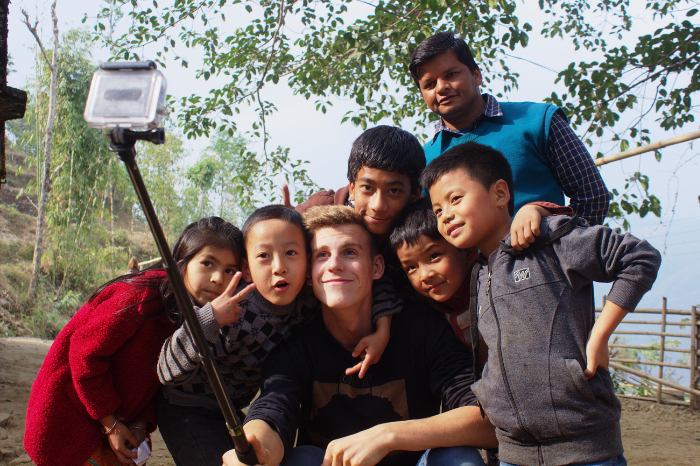 These past three weeks have been really busy for us in India, we have said goodbye to Darjeeling and are now in Siliguri for the last two weeks of our outreach. I have chosen some of my favourite photos from the past few weeks to share with all of you about our adventures here in India. We were in Bijan Bari for a total of three days helping out with a conference there. In our off time we would come to this river to explore and relax. 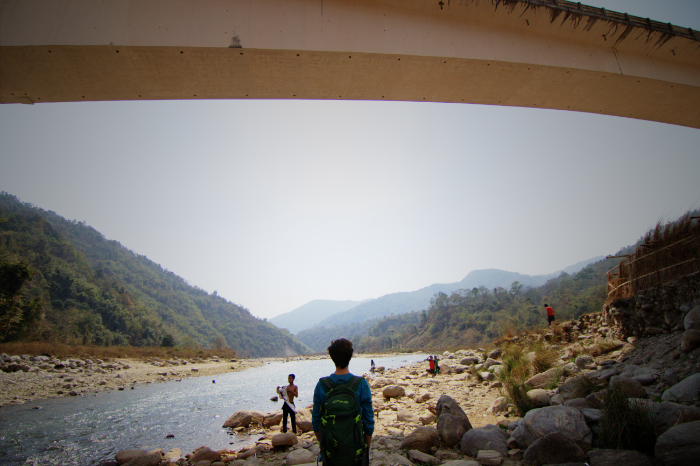 It was a beautiful place, sadly, it is very polluted, the river and hills were covered in garbage. After Bijan Bari we headed to a small village called Duptin, where we helped run a bible camp for the children and teenagers there. This is a shot of the house that Brian, Greg, Mitch and I slept in during the week we were there. Early in the morning we would wake up to pigeons running around on the roof, it honestly sounded like they were having a soccer match. There were no sinks in the village so we had to wash our hands with hand sanitizer, we also used squatty potties for the whole week. During our week running the camp in Duptin, we got to meet many of the kids from the village. It was so fun getting to know the kids and to goof around with them. Here are a few of them taking a selfie with Mitch. The guy in the back lives under the school where the camp was held. He came around for a few of the activities and lectures we had during the week. The kids in Duptin loved posing for the camera. 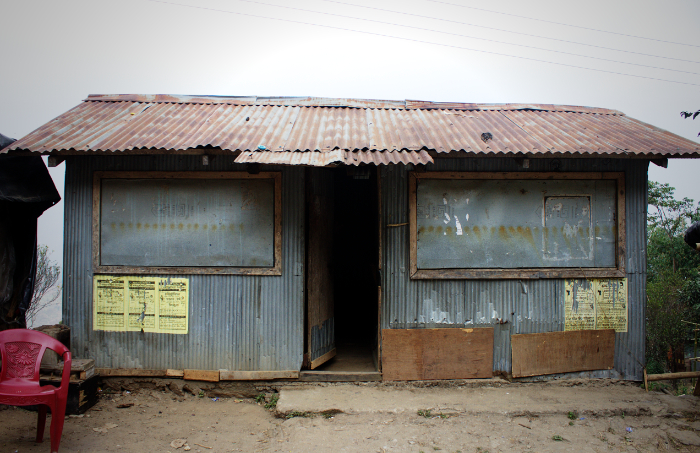 This is the classroom where we taught at the bible camp in Duptin. Around this time of year the children are all on break from school so we were able to use the classroom in this school to run the camp. This is Amos, he loved holding my camera so I taught him how to use it, he was quite the photographer. After a long week of camp we all headed down to this river for the day to relax. It was classic India, hazy mountains, trash burning on the riverside, and of course wild cows grazing next to the river. Greg, Mitch and I even braved the waters and took a quick dip to clean off. On Sunday, after eight days in Duptin we had to say goodbye to the people we had gotten to know. We got to meet some amazing people, I am so thankful for the friendships I was able to make with the people there. This is a shot of some of the markets in Darjeeling. This tunnel is filled with vendors selling clothing. We got the chance to take a ride over the tea fields in a cable car. Team India being team India we had to take a goofy photo in one of the old cars they had lying around next to the station. We went to a senior's home for women with mental disabilities, we weren't sure what to expect. When we showed up they were all so happy to have us. The whole time the women would hold our hands and dance and sing with us. The woman in this picture had a contagious smile, she would grab my hand and lead me over to someone else and make me hold their hand. Here she is is dancing and smiling with Greg and Eliza. 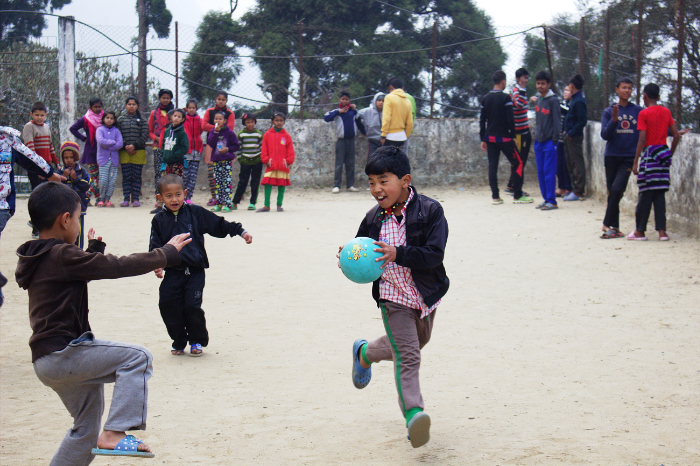 While in Darjeeling we got to go to a school for deaf children. We had a lot of fun playing games like duck duck goose, throwing the ball with them and doing skits for them. 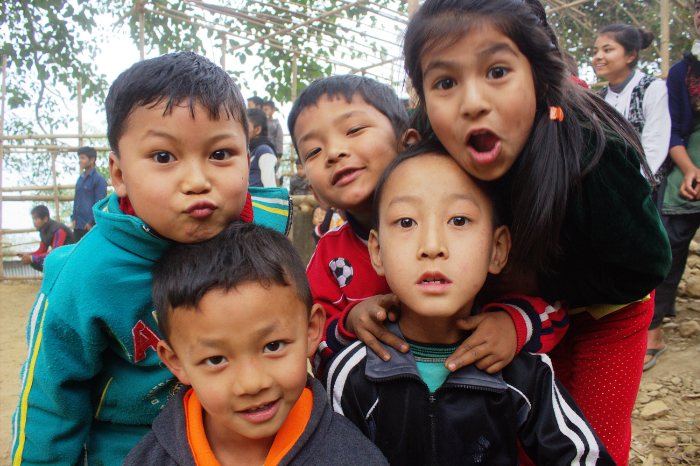 After a total of five weeks in Darjeeling we had to say goodbye. On Tuesday we got into two jeeps and took the four hour ride down the mountain to Siliguri. On the way down we were blessed with some pretty incredible views of the mountains while the sun was setting. We will be in Siliguri for the final two weeks of our outreach before finally returning to Brisbane.